versions of Pearson's MyLab & Mastering products exist for each title, including customized versions for individual schools, and registrations are not transferable. In addition,Â you may need a CourseID, provided by your instructor, to register for and use Pearson's MyLab & Mastering products. Â Packages Access codes for Pearson's MyLab & Mastering products may not be included when purchasing or renting from companies other than Pearson; check with the seller before completing your purchase. Â Used or rental books If you rent or purchase a used book with an access code, the access code may have been redeemed previously and you may have to purchase a new access code. Â Access codes Access codes that are purchased from sellers other than Pearson carry a higher risk of being either the wrong ISBN or a previously redeemed code. 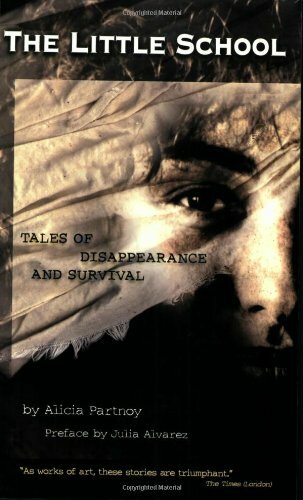 Check with the seller prior to purchase. Â -- This access code card gives you access to all of MyPoliSciLabâ€™s grade-boosting resources. 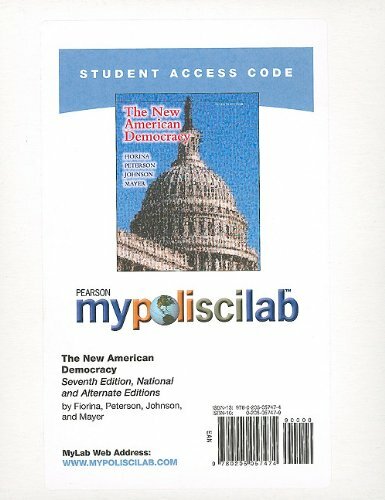 MyPoliSciLab is a state-of-the-art interactive and instructive solution for introductory American government courses that combines multimedia simulations, video debates, research support, and practice tests to make learning fun!Â This is the product access code card for MyPoliSciLab and does not include the actual bound book. Â Updated in a new 7th edition, The New American Democracy offers a stimulating, analytical approach to American government and a unique perspective on contemporary politics with an emphasis on elections and their importance in the American political system. The authors --Â among the most well-known and well-respected scholars working in political science today --propose in their text that politicians today are perpetually engaged in the election processâ€”a â€œpermanent campaignâ€â€”which has profoundly affected how our government functions today.